This is an introductory session for board members and nonprofit leaders to learn how to read the essential financial management documents: audits, interim financials, 990s and policies. 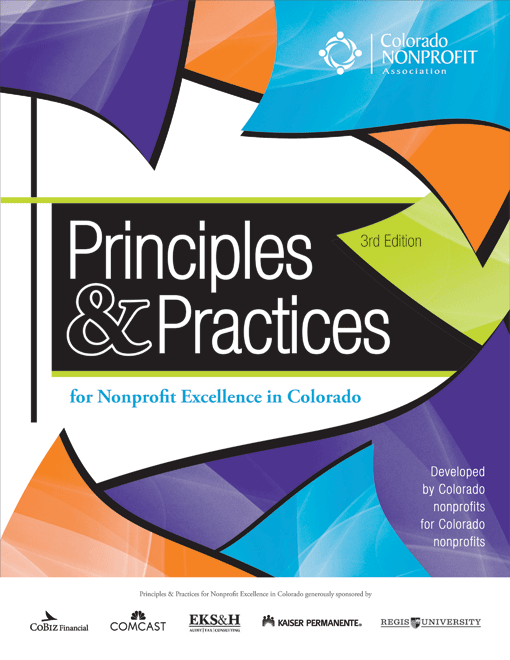 We will use example documents and relate those to Principles & Practices, as well as identify how they are connected in the nonprofit finance cycle. Thank you to our partner Yampa Valley Community Foundation for supporting this event! YVCF is offering 5 scholarships to local non-member participants to attend this training for 50% off! To inquire, please contact Helen Beall at YVCF (helen@yvcf.org). Interim Financials: Participants will examine sample monthly comparative financials (balance sheet and statement of activities) and understand the connection to the audited statements. 990: Participants will review form 990 and understand key components of the form, including board-involvement and disclosures. Policies: Participants will understand the various financial management policies that nonprofit boards review and/or set, as well as resources for example policies. Includes review of new rules effective 2018. David Fellows brings over thirty years’ experience to helping businesses operate more effectively. His particular emphases are finance and information systems, areas critical to any organization’s success. He works with nonprofits, small businesses and start-ups to improve their finance and accounting capabilities. He has taught "Financial Management for Nonprofit Organizations" for the MNM program at Regis University for several years. Cheryl Fellows is a performance-focused finance professional with extensive experience in forecasting, planning, scorecard and metrics development. Cheryl has MBA in Finance from The Wharton School, University of Pennsylvania and also has 30 years of finance experience in both corporate and nonprofits. Need to cancel? Please use the link in your confirmation email or email Akila Copeland no fewer than 3 business days prior to the training. Members, please review our Cancellation Policy for more information.